En route to Mexico from the United States, Billy the Kid (Emilio Estevez) and his associates are pursued by federal agents hell-bent on bringing them to justice. 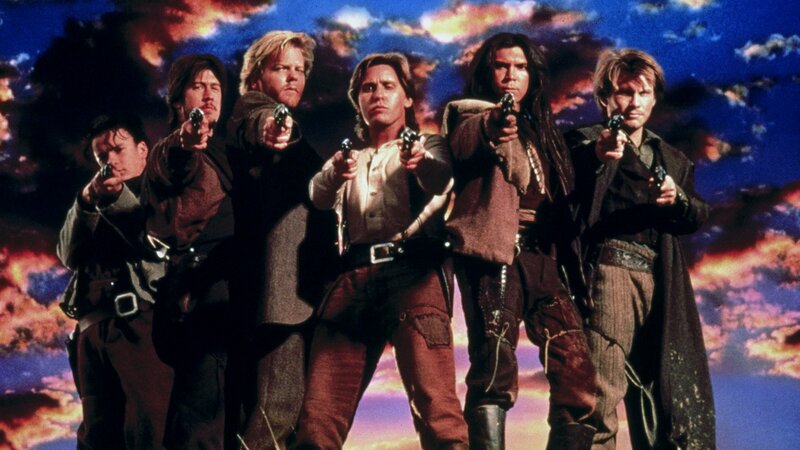 But when Billy, Doc (Kiefer Sutherland) and Chavez (Lou Diamond Phillips) prove too difficult to track down, the frustrated authorities enlist an old friend of theirs, reformed outlaw Pat Garrett (William Petersen), to take down the elusive gunslinger. But Billy has a head start, and his crew of outlaws is growing by the minute.